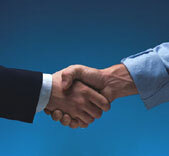 In today's competitive business intermediary world, your Sellers and Buyers have choices. How you secure the right business listings, find the right buyers in a timely fashion, and effectively manage the selling process can make the difference between success and failure. 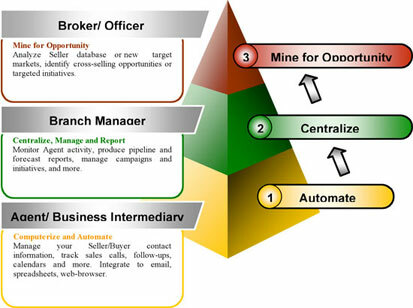 InfoPages helps you uncover new opportunities, understand your markets, and better manage your Sellers and Buyers, by automating document management and day-to-day sales activities, providing agent management and reporting tools, and allowing you to "mine" your data for new opportunities by matching existing buyers to new listings. 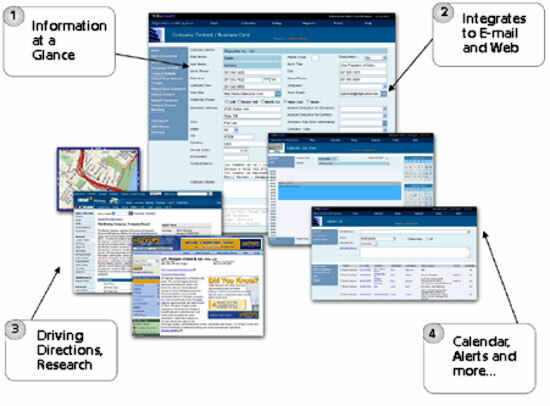 InfoPages allows you to manage all your documents by linking them to the appropriate record. Using an efax account, you can easily fax in and automatically convert documents into PDFs. You can then attach Confidentiality Agreements and buyer profiles to buyer records, while at the same time attach Listing profiles, tax records, and Purchase Agreements to seller profiles. and update your information directly from your web-browser, using your company's intranet or the public internet. Turbo-charge your business selling activities! With InfoPages, you can automate and streamline your day-to-day Seller and Buyer activities, cut costs and boost productivity by cutting out manual repetition. InfoPages was designed with easy-access to your data in mind. You can search for records based on a company or person name, location, area-code, annual sales and much more. Your customer and contact data is presented in your web-browser in a clear and easy-to-read format. Just one click of the mouse opens up your email, the target company's home page, or other public data on the company, such as driving directions or financial statistics. With the InfoPages Action-List, you can record all interactions with your Sellers and Buyers, and schedule follow-up calls or actions. You'll get alerts of what you need to do on a particular day, all within a single screen. You can also schedule meetings, and invite colleagues, using the built-in Calendar. 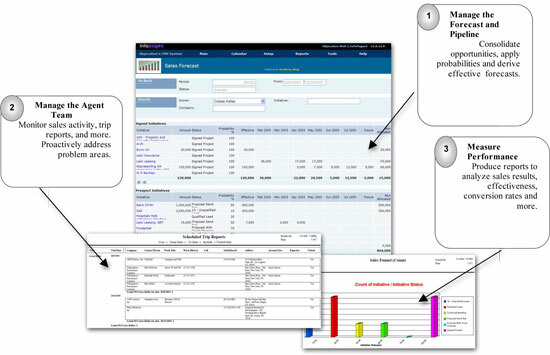 Performance Measurement at your Fingertips! As the office Broker, you need instant access to key measurements of how your Agent team is performing. With InfoPages, your Seller and Buyer contact and lead data is centralized. So while your Agents get an immediate productivity boost, you can get up-to-the minute information on all activities within your brokerage. You can produce a commission forecast report, and then drill down to the individual opportunities that are underway. You can identify problem listings, and further drill down to see what activity is happening on that listing. This lets you take corrective action immediately. InfoPages also makes Email or Mail campaign management a pleasure. For instance, you can group Buyers and contacts into "Focus Lists", groupings that could represent business preferences by industry. From these, it is easy to send out mass-mailings, perform mail-merges and more. InfoPages lets you create an unlimited number of "Focus Lists", and add any number of contacts to these lists using powerful search and extract facilities.